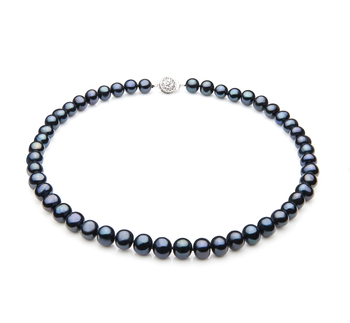 Blissfully black, beautiful and desirable for its unique characteristics, design and outstanding luster this freshwater pearl necklace will be your go to piece when you want a fresh and funky look for those fun times out with the girls. 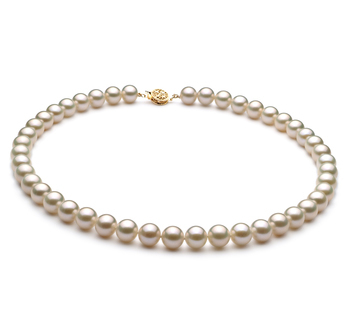 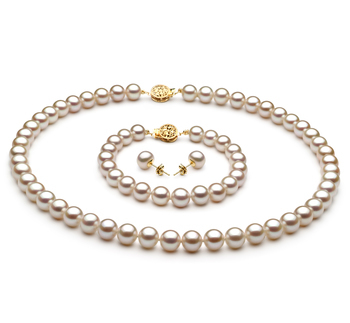 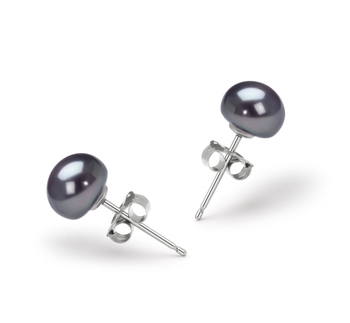 Designed with the (A) out of round pearls, there are NO two pearls that remotely match, resemble or shine like the other. 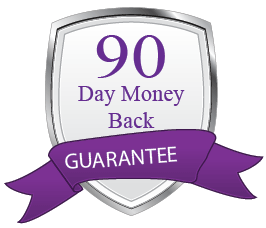 They all offer a different element of surprise and likeability to your one of a kind personality. 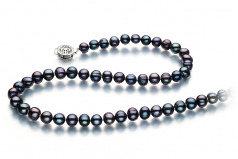 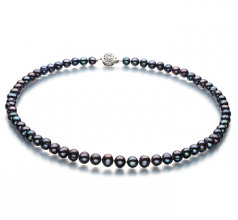 Hand strung on a fine double knotted silk thread these pearls are individually separated by and hand tied double knot that ensures there will be no rubbing that will mark the surface of this otherwise personality matching Bliss Black 6-7mm A Quality Freshwater Pearl Necklace. 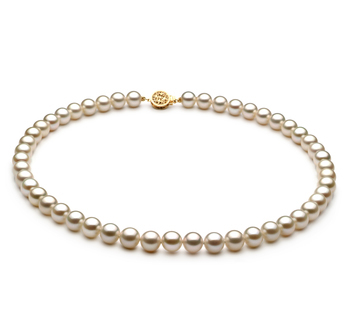 Take it to any level you want- formal affairs, business adventures or casual everyday use, the standard choker style version is a classic look on anyone.